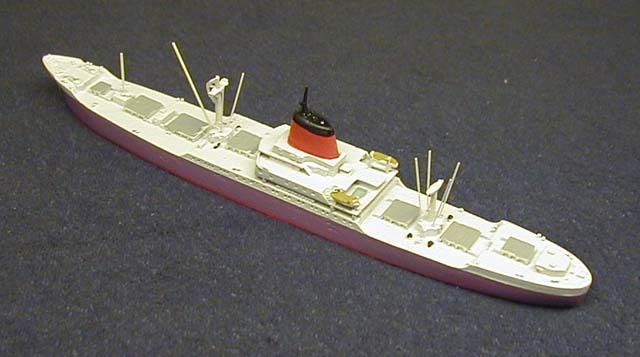 Dimensions: 592 x 77 x 31 ft.
Service: Built for Union-Castle Line (British flag) Southampton-South Africa mail service. She and her sister Good Hope Castle were the fastest cargo ships afloat at the time. Maiden voyage May 1965. Accomodations added in 1967 so that calls could be made at Ascension and St. Helena. She made the very last Union-Castle mail run in Oct 1977. Sold to Costa Lines and renamed Franca C. Sold for scrapping in 1984.